In the past the Thailand Cabinet had made the announcement regarding the Geeza Visa, and the retirement visa. 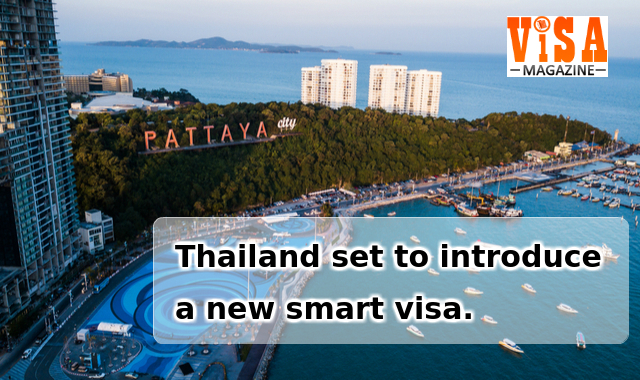 Presently, it has announced the plans for having a Smart Visa. Hence people will be able to stay in the country, along with their family, for four years. There is no need for applying to get Work Permit in this visa. The visas will not need 90 day reporting, but the person has to appear before the Immigration Bureau for one time in a year. These details were brought from the PM’s office. The eligibility norms require having the category of a startup entrepreneur, or an investor, a top executive or high-skilled professional. Moreover, there are no details presently regarding the professions under consideration in this visa. This plan was originally proposed 17 months back by some Trade Groups, as a measure to get foreign skills and investment. The new visa will help in the transfer of knowledge and also would increase the business growth. Finally, it will also provide long-term benefits also. We at Visa Magazine welcome any queries in this regard.